Panoramic Sightseeing Tour + Montjuïc Cable Car + Spanish Village + Walking Tour Gothic Old City Center. How to book this tour? Fill the easy form on this same page. Book this tour to get on the Panoramic Sightseeing Tour, get on the Montjuïc Cable Car, visit with our guide the Spanish Village and visit the Gothic Old City Center. Very good tour! We enjoyed the spanish village and we have to say that the guide was professional and really helpful. Execellent Tour, I think this is the best tour offered by Vicity.net. The poble espanyol was simply amazing.. 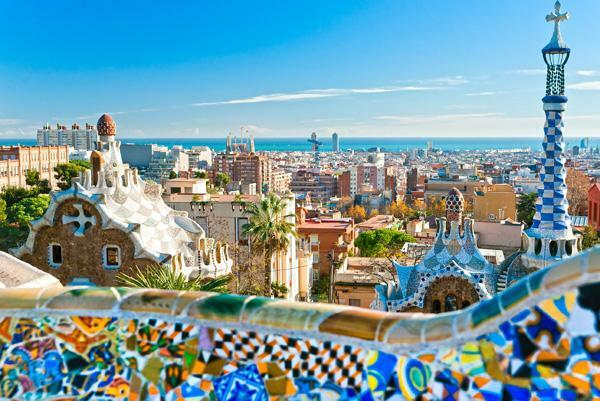 This well-envisioned itinerary is put together to allow visitors to Barcelona the chance to see and enjoy the most emblematic and iconic sights that the famous Spanish city has to offer. The Highlights of Barcelona itinerary begins with an excellent sightseeing tour via bus that will take you past and up to the beautiful Passeig de Gracia, a location where you can see the most famous of the Gaudi houses, La Casa Milà and Casa Battló, along with many other elegant buildings of the Modernist movement. See And Experience The Beauty At Spain’s Heart: the tour will also take visitors to the coast were they will be driven alongside the Arc of the Trionf, the Olympic Village, the Olympic Port, Ciudadela Park, the fisherman’s quarter, Plaza De Colon (home to the iconic Colombus monument) and Port Vell. This area is also the starting point of the famous Las Ramblas, a central promenade full of vibrant nightspots and restaurants. The tour continues by driving up Montjuic where a brief stop will be made for pictures around the Olympic Stadium. On arrival at Montjuic Castle, you will be able to enjoy a wonderful cable car ride that offers unique views of the city below. The bus will then drive you back down Monjuic, passing the facilities of the 1992 Olympic Games along the way including the preserved swimming pool, until you arrive at a traditional Spanish village. After this visit to experience a little of traditional life in Spain, the tour bus will leave Montjuic and travel back in to the centre of the city. In this portion of the drive you will take in views of Venetian Towers, the MNAC and the Montjuic fountains. 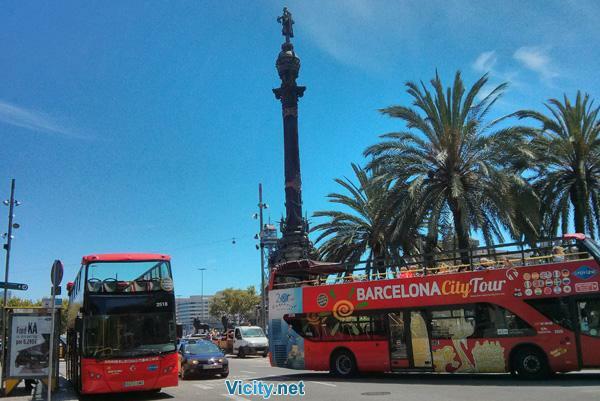 The tour then stops at the Plaza de Catalunya, at which point you will have the chance to begin a guided walking tour of the old city centre. The friendly guide will lead you through streets and sights including Cathedral Square, Las Ramblas, Plaza Sant Jaume where City Hall and the Catalonian Government sits, and the narrow, historic lanes of the famous Gothic quarter. 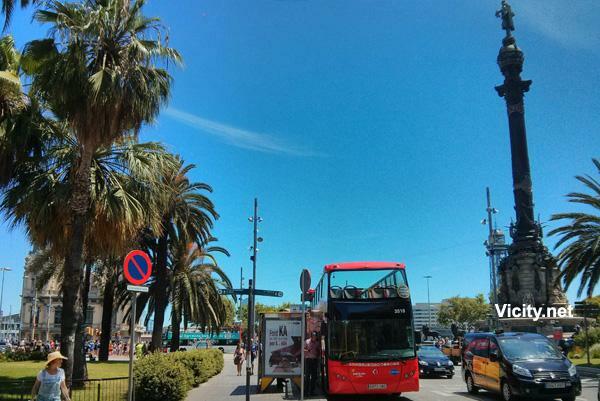 The tour finishes in the impressive Plaza de Catalunya, right in the front of the Hard Rock Café where you can enjoy a delicious meal and drink after a satisfying day of sightseeing activity. 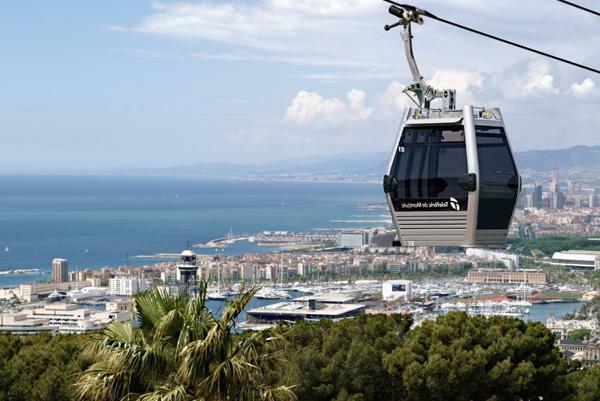 It is important for visitors to the city to be aware that from the end of January until the first week of March (exact dates yet to be confirmed), the cable car on Montjuic is not operational due to maintenance and revisional tasks. During this time the service is always replaced in the tour by a delicious Tapas tasting session in the Spanish village. Our tour aim is to give visitors the opportunity to visit the Olympic Stadium and all if its surroundings whenever possible, but there are rare occasions when we are prevented from doing this when there are pre-organised events at the stadium. Journey on an air-conditioned bus. A helpful bilingual tour guide. A cable car ride on Montjuic. The entrance fee to the traditional Spanish village. Admittance to the Gothic Cathedral. Pickup and drop-off from your hotel. Lunch and any other comfort services that are not specified in the description above. Something to remember when considering this tour is that a portion of the day includes a walking tour, so we kindly ask for you to arrive wearing comfortable clothing and appropriate shoes for the planned activities. In order to get the most out of the tour, it is recommended that you dress in order to be able to walk for a reasonable distance without problems.